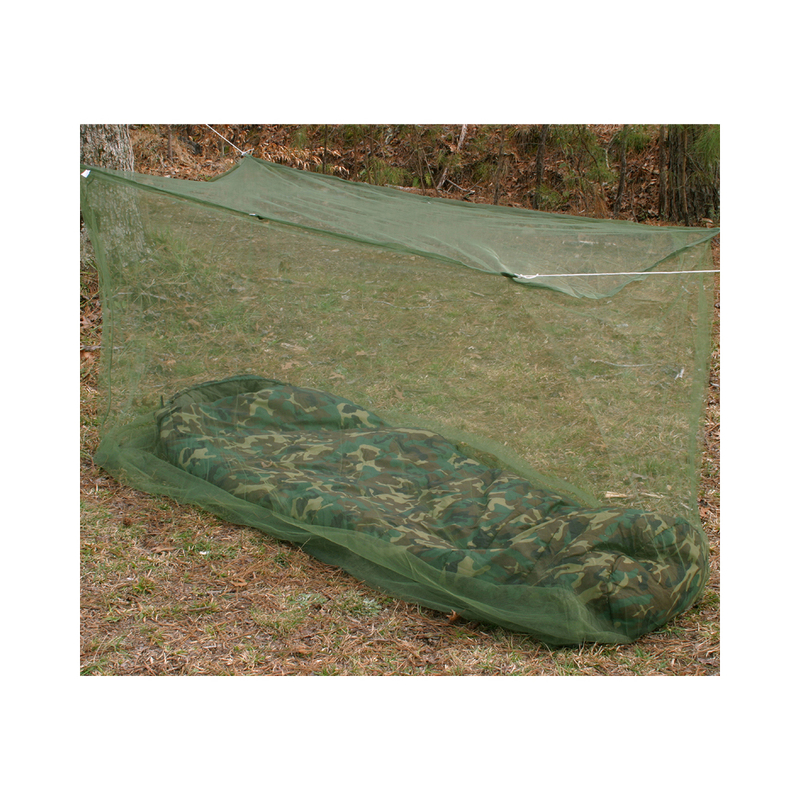 Single Cot Size, versatile four way hanging fine mesh mosquito net supplied with hanging kit and stuff sack. Can be hung as a single point wedge, a two point wedge, a two point ridge or a four point rectangle. Treated with Deltarmethrin as recommended by the World Health Organization, for added protection against insect borne diseases such as Malaria, Dengue Fever and Encephalitis.